Due to overwhelming demand, all spots are taken for our inaugural night on Thursday August 17th, celebrating mid-century architecture. Thanks everyone for your support and we hope this is the start of many more events. 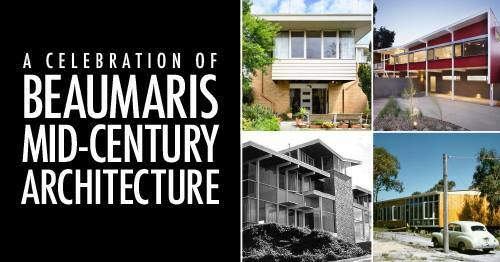 Join Beaumaris Modern for a night of ‘oohing’ and ‘aaahing’ over some of the most stunning examples of mid-century modernist exteriors, interiors and gardens in Beaumaris. With an introduction by special guest Tim Ross of Streets of Your Town (TV series) and Modernister Films fame, our inagural event promises to be a showstopper. Doors open 7.30pm. After the ‘slide show’, stick around to enjoy a drink & a chat with like minded, passionate mid-century fans. The Beaumaris Modern Committee and all our friends & supporters.